Principally, it signifies the commencement of the ‘intra-Afghan dialogue’, a process that was struggling to be born. This process can be expected to galvanise the Afghan peace talks. Some of the most senior and influential Afghan leaders actively participated in the Moscow conference, including former President Hamid Karzai, stalwarts of the erstwhile Northern Alliance Atta Muhammad Nur, Yunus Qanooni and Muhammad Mohaqiq, Ahmad Wali Massoud and former National Security Advisor Hanif Atmar. The embittered Afghan government led by President Ashraf Ghani has been reduced to a rump. It has censured the event in Moscow, but its own growing isolation is self-evident. Ghani is now openly critical of the dynamics of the US-Taliban talks, won’t associate with any ‘intra-Afghan dialogue’ and threatens to reject any peace formula that is reached without him. Ghani’s mindset is — ‘After me the Deluge.’ His preoccupation is about his own political future. Simply put, panic (that he is at the end of the road) is mixing with bewilderment (that he is in reality so easily expendable) and anger (that the US is inexorably disengaging from him). In fact, President Donald Trump’s State of the Union address on Tuesday completely omitted any reference to the Kabul set-up, leave alone Ghani himself. The stunning outcome of the Moscow conference in the nature of a Joint Declaration highlights that the native Afghan genius for consensus-making has far from extinguished and can still provide the alchemy for reaching a peace settlement. The key elements of the ‘nine point approach’ outlined in the Joint Declaration are the agreement on the ‘values’ that effectively provide the guiding principles of a post-settlement order — an Islamic system; an inclusive polity; a broad-based government with representation for all ethnic groups; assertion of national sovereignty; scrupulous neutrality vis-a-vis regional and international conflicts; adherence to Afghan national and religious values; and a unified and single policy. The three striking templates of the document are the demand for the ‘complete withdrawal of foreign forces’, the political commitment to protect the rights of women and the entire people, and the openness to seeking international assistance for Afghan reconstruction. Taken together, the joint declaration gives the blueprint of the terms of an Afghan settlement. Russia has been the patron behind the conference kickstarting an ‘intra-Afghan dialogue’. Conceivably, Russia took such an initiative in tandem with Pakistan — and, possibly, with Iran and China as well. Importantly, Russian diplomacy was successful in getting an impressive array of Afghan politicians cutting across the spectrum of opinion to come on board. The new platform is destined to gain traction and provide an enduring underpinning for peacemaking and reconciliation in Afghanistan. Inevitably, the dialectic involving the US-Taliban talks and the new platform of ‘intra-Afghan dialogue’ will be crucial. Ideally, they should be mutually reinforcing. But life is real. Much depends on the US’ intentions. Washington cannot but be aware that the Ghani government lacks legitimacy and an interaction between it and the Taliban (assuming the latter agrees to it) is increasingly meaningless. On the other hand, Ghani also enjoys the covert backing of the hardline elements within the US establishment some of whom are unhappy with Trump’s outlook of putting to sudden death America’s ‘endless wars’. Ideally, therefore, it is in the US interest to widen the gyre of the peace process that has begun in Moscow and create synergy for Washington’s direct engagement with the Taliban, which is proceeding on a parallel track. The regional and international opinion will be supportive of such a constructive approach. However, for this to happen, the US too should have a unified policy. There are disturbing signs that the US military-industrial complex is far from done with the ‘endless war’ in Afghanistan. Trump himself is buffeted by cross currents. He vaguely sounded placatory in his address to the US Congress on Tuesday by hinting at the need of continued counterterrorist operations with a reduced military presence. 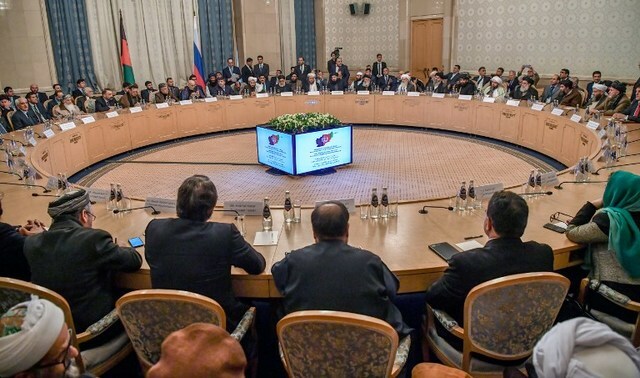 Whereas, the resounding message out of the Moscow conference is that mainstream Afghan opinion identifies with the Taliban’s longstanding demand for complete vacation of foreign occupation in lieu of commitment that no extremist group will be allowed to operate out of Afghan soil. The US should heed this profound Afghan craving for national independence and sovereignty. Indeed, the Moscow conference underscored that the Afghan conflict is at its core a fratricidal strife (which foreign powers took advantage of) and it can be ended only through a genuine, free-wheeling intra-Afghan dialogue. The Russians have shown that just by being an honest broker, the Americans could as well have kickstarted the intra-Afghan dialogue a long time ago — arguably, even when late Richard Holbrooke was around. So much of destruction and suffering and loss of lives could have been spared if only there was sincerity of purpose. The Moscow conference has exposed the self-serving Western notion that the Afghans are inherently incapable of moulding the destiny of their nation. That such an impressive outcome of consensus-making was possible when Afghans were left to confabulate among themselves for two days only goes to show that the so-called international community is more the problem than the solution. The Moscow conference agreed that ‘intra-Afghan dialogue must continue on regular basis’ and that the next session be held in Doha, Qatar, ‘as soon as possible.’ The next round of the US-Taliban talks is also due to take place in Doha in February focusing on the interim government and ceasefire. Several top participants at the Moscow conference voiced support for the formation of an interim government. The time has come to address the issue. The big question is whether the US is willing to let go Afghanistan, finally. Admittedly, the geopolitics of Afghanistan becomes a compelling factor for the Pentagon, which is keen to retain the military bases in the emerging New Cold War conditions. Besides, there is no dearth of potential deal breakers. Persuading the present rulers in Kabul to make way is going to be a tough challenge. Ghani’s hope lies in offering the Taliban a few slots in his government. But that formula won’t work. The US should not encourage Ghani’s vaulting ambition to wield power for a foreseeable future. 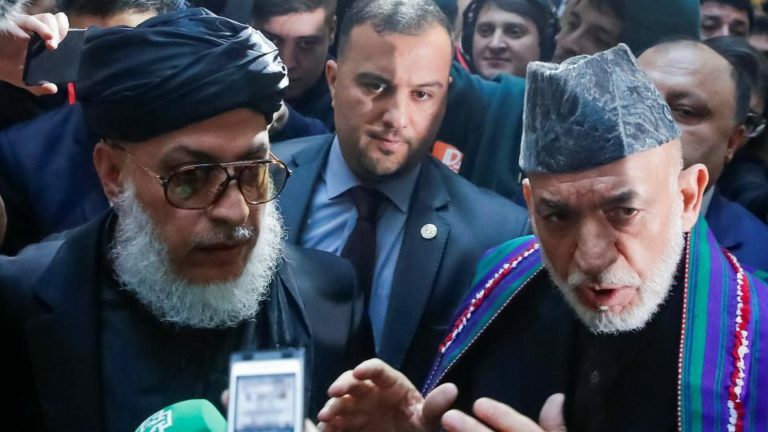 Conditions were far more complicated in 2001 when the Northern Alliance government led by Burhanuddin Rabbani was persuaded to step down and an interim government led by Karzai took over in Kabul at the insistence of Washington. On the other hand, the Moscow conference has shown that inter-Afghan amity and reconciliation is a realistic goal. Karzai can still play a leadership role in any orderly transition in Kabul. Karzai led the way at the Moscow conference.